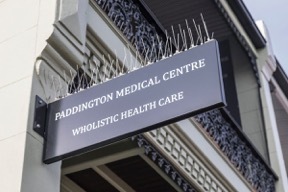 Paddington Medical Centre began in 1993 when a group of experienced practitioners joined forces to create a holistic centre providing the best of orthodox and complementary medical care. We all share the philosophy that the practice of medicine is a vocation and not a business. We are committed to long term appropriate care rather than focussing on the quick fix. We strive to give time and attention to your needs. Our practitioners are dedicated to the pursuit of excellence in their chosen field through continuing education and peer exchange. We actively contribute to the development of new directions in clinical practice through research, publications and innovative clinical programmes. Paddington Medical Centre has cultivated a stable, harmonious and supportive working atmosphere. In an increasingly complex and stressful world, we aim to create a safe place where patients know they are being cared for by experienced and dedicated practitioners.